Esports, and other games : Pro Evolution Soccer: Players who have qualified for National Team Trials at SA Nationals. Pro Evolution Soccer: Players who have qualified for National Team Trials at SA Nationals. 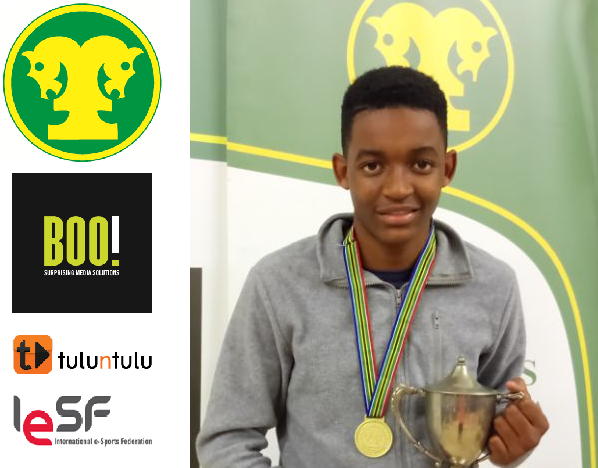 Khahliso Malape (Fakkel School of Skills) - the current SA Champion. Even though Mind Sports South Africa (MSSA) has to select a Protea Team for the esports title Pro Evolution Soccer, MSSA is active in promoting such title both in South Africa and in fellow national federations. Thus at MSSA's last MSSA's 31st South African National Championships for the esports title for Pro Evolution Soccer five (5) players qualified for National Team Trials for such period should trials be held for such period. Trials for any title (period) are always held at the discretion of Mind Sports South Africa. The criteria to qualify for such trials all Registered Players that win a Regional Championship shall earn an invitation to National Team Trials. Also, all Registered Players that score within the top 20% or top three places, whichever is greater, in a specific Period at a Provincial or National Championship shall earn an invitation to National Team Trials. It should be remembered that members of the current Protea Squad automatically earn a berth at the National Team Trials (NTT) should they have met their obligations in terms of participation at MSSA events. On the road to Kaohsiung City. Curro Klerksdorp brings back the cutlery. Results: 23rd North West Championships. So you want to play esports for South Africa? "When you look behind, there are no open doors". On the road to National Team Selection. SA's team to take on Ghana. MSSA welcomes CYSPORT into membership. Mxolisi Lukhele grabs the top position. Gordon McCormack shoots to the top. Mqandisi Dewa has started his assault. Joseph Mathlong now heads the rankings. Hard work and dedication pays off. Chanel de Wet does South Africa proud.